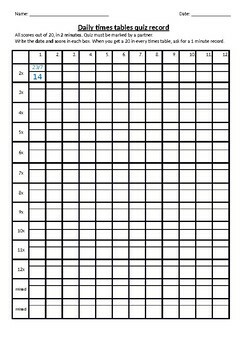 Students keep this record in their books/folders and part of their daily routine is to complete a times table quiz in 2 minutes. They mark their score and the date on their own record sheet. Great for students to take responsibility for their own learning and independently keep track of their learning while making their learning visible.